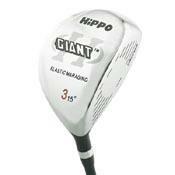 Constructed from 15-5 maraging steel for maximum energy transfer to the ball. Controlled face thickness increases efficiency at impact. Strategic internal weighting creates superior peripheral balance and optimum center of gravity for maximum forgiveness. I bought this for the hell of it at rockbottom on sale for about $17. I generally use my old Adams tight lies 3 wood on the fairways but needed a better 3 wood off the tee for a few holes. This wood does well there and sometimes better off the fairway than my old Adams. Great feel and quality for the price. You can spend more but you won't do much better than this. That said I just use it maybe 2-4 times a game..
3 woods. Adams, Calaway, Cleveland, Tour Model, Wilson and many many others.